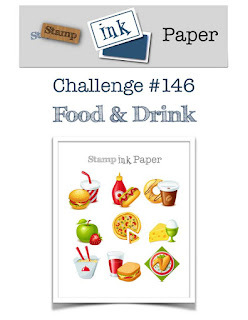 Tina's Crop Shop: SIP #146 Theme Challenge - Food or Drink with Hero Arts It's Fiesta Time! 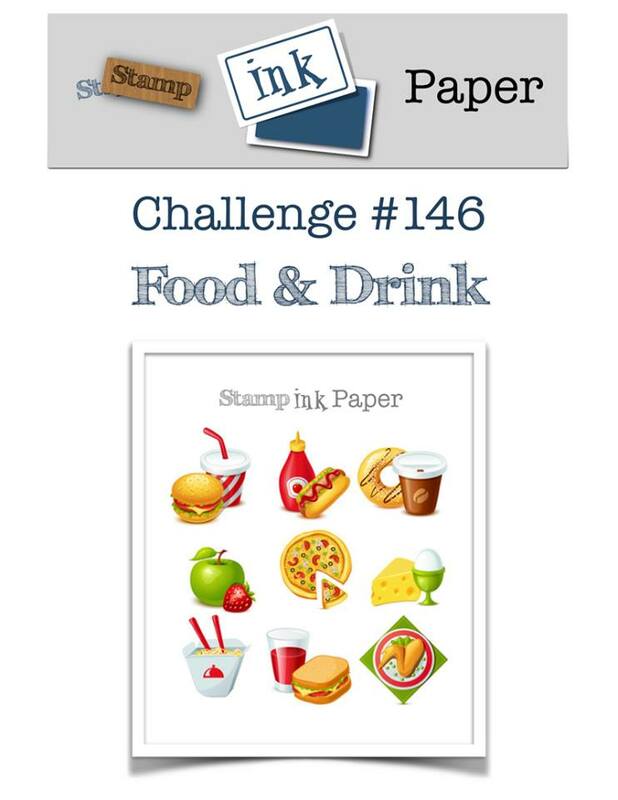 SIP #146 Theme Challenge - Food or Drink with Hero Arts It's Fiesta Time! Hey There! I sure hope it is warm where you live... the weather has been loco lately! It's been super cold and rainy in Middle Tennessee and as usual for this time of year... I have a sinus infection. I went to the Doctor and got two shots and three prescriptions hoping that this thing will take a hike and stay gone! Ugh! I felt so bad on Monday I almost didn't make my Design Team card for the new SIP challenge but I remembered that I just got my Hero Arts monthly goodies so I went for it. The April My Monthly Hero is so adorable and so are some of the add-on sets! I used the It's Fiesta Time Stamp and coordinating dies (these were both kit add-ons) for this card. It has some super cute images and sentiments in it. I used Brusho Crystal Color in Brilliant Red and Gamboge (orange) and water on Bristol Smooth Cardstock for the background. They are a lot of fun to use and a tiny bit messy! 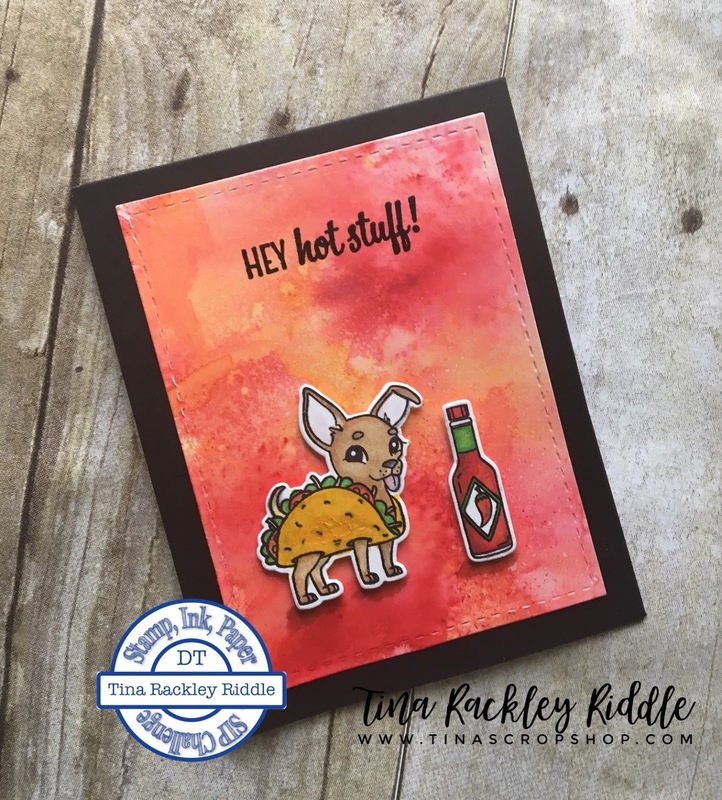 lol The Chihuahua Taco and the Hot Sauce were also stamped on Bristol Smooth and colored with Copics. I am NOT an expert Copic Colorist but I give it the old college try. lol The sentiment was stamped on the completely dry background with Versafine Ink and heat embossed in clear. Super simple card but I think it's pretty stinkin' cute! I hope you think so too!